$100 Room Challenge: Unfinished Basement to Home Gym - Lovely Etc. It’s that time again! Time for the $100 Room Challenge! For those who don’t know, the $100 Room Challenge was dreamed up by Erin from Lemons, Lavender, and Laundry. 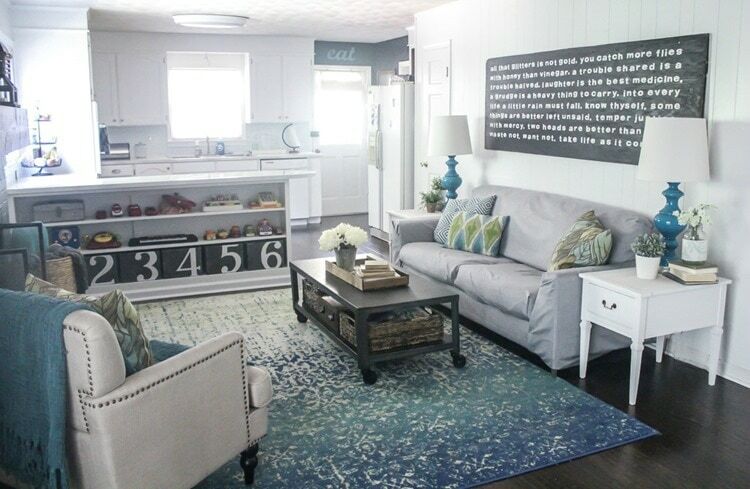 It’s a challenge to make over one entire room in your home in one month, using only $100. Talk about a challenge! Luckily I love a good challenge – especially when it involves decorating for cheap which is kind of my specialty. Last year I completed two $100 room challenges and finished up two awesome rooms in our home – our bathroom and our family room. This challenge was just what I needed to get myself in gear and finally get some projects finished so I’m super excited to be taking on the challenge again. But this time the space I’m tackling is a little different. When you see it, you’re probably going to think I’m a little crazy. To be totally honest, I think I’m a little crazy myself! My husband’s birthday was a few weeks ago and for his birthday he requested that I help him fix up his home gym. Sounds fancy right? Well in reality, calling it a home gym might be stating things a bit too strongly. 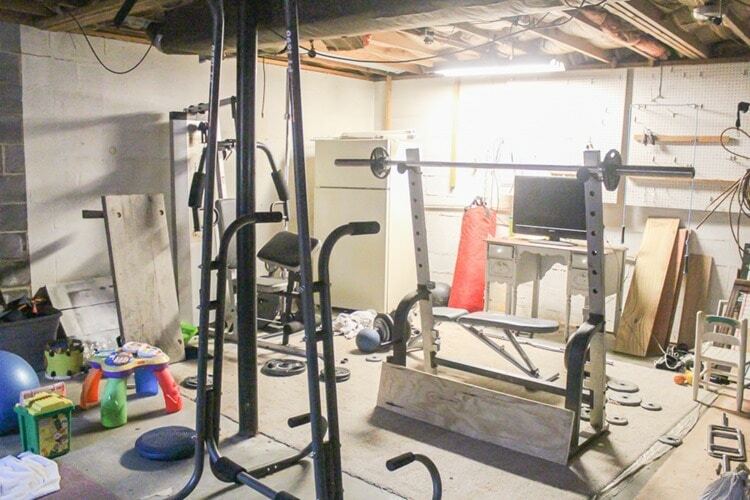 It’s actually just a bunch of weight benches and equipment in one corner of our big unfinished basement. Which is just about as glamorous as it sounds. Cold cement floor covered by random carpet remnants, cinder block walls, loose insulation hanging down from the ceiling, dim lighting, a window covered by a piece of chain link fence (why? ), and piles of stuff stored all around the edges. Not exactly an inspiring spot to get fit. I decided it would be the perfect project to tackle for this round of the $100 Room Challenge. I’m not 100% sure exactly what I’m going to do here but my goal is to make this space feel less like a creepy basement and more like an actual home gym. Bonus points if I can make it nice enough that I end up motivating myself to work out there as well! I’ll be sharing updates every Wednesday in January with the big reveal happening January 31st. I am super excited to see how far I can stretch $100 to make this feel like a completely difference space. You can check out the spaces the other participants in the challenge are making over at the links below. I absolutely love what you did with the bathroom and family and can’t wait to see what you have up your sleeve for the home gym. Looking forward to following along! Thank you Maria! This one is a tough challenge but I’m excited to see what we can do! 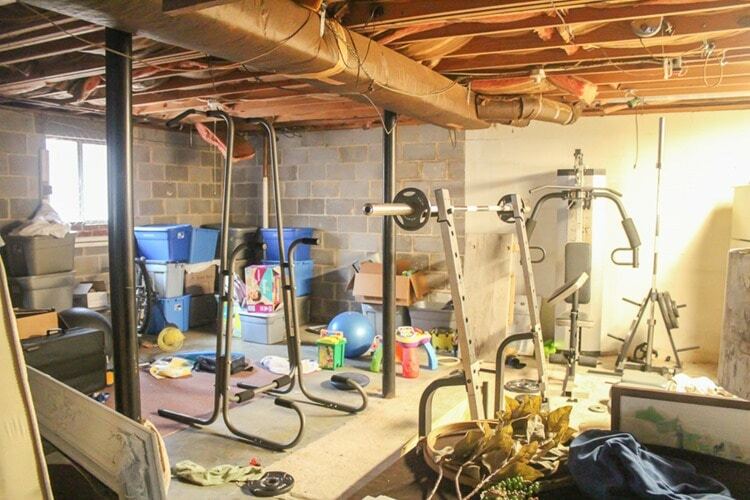 My basement looks exactly like that except with less gym equipment and more dirty laundry piles. ;) I can’t wait to see how you update this space! Thanks Emy! Whenever I see pictures of other people’s basements online, they look so nice and organized. It’s nice to know we aren’t the only ones with a dark, dreary disaster area! You’re a brave woman! I can’t wait to see what you make of this space. 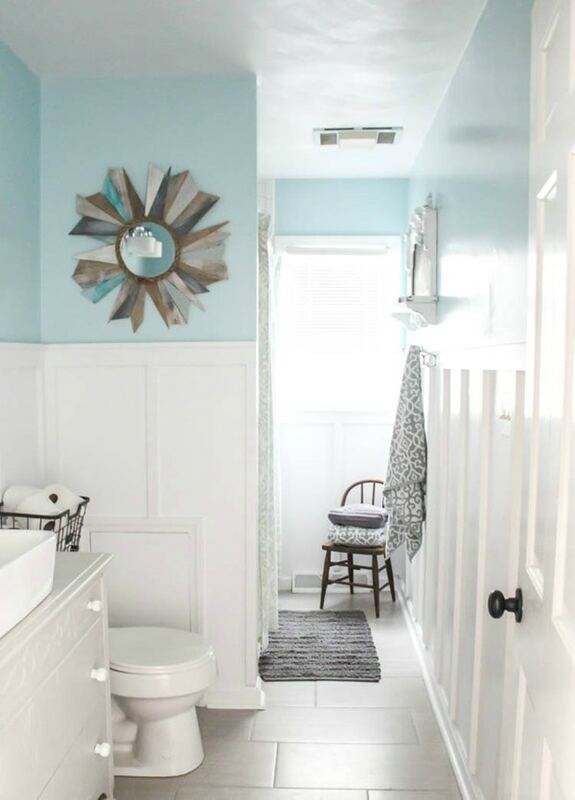 I’m still ogling over your bathroom and living room redo’s. Wow! Can’t wait to see how you inspire me to tackle my basement! You go, girl! And I love your other makeovers! GIRL!! We have a VERY similar scary area and I’m excited to see what you can do on $100! Thanks Ashley! This is going to be a tough one for sure! Wow, that seems like a really tough challenge for $100, but I know you can do it and love your other makeovers. Soooo excited to see your progress! Thanks Patti! I’m excited about this one too – but definitely nervous! How fun! I would love to have a home gym! This will be a fun one to follow along with! I can’t wait to see how you use your creativity in this space! Wow! This is going to be an interesting project and I can’t wait to see what you do. I have a good friend who does bikini competitions and she just built a house, with an unfinished basement that she wants to turn into a gym. I will send her your link so she can follow too! Good luck! Love it!!! What an awesome space to makeover! You have done amazing things for your last 2 rounds, and I’m sure this will be no exception. So excited to have you joining the challenge again! Thanks Erin! There’s nothing like the $100 room challenge to get me in gear! This is going to be such a fun one! We had a basement just like that in our last house and I miss it! Good luck and can’t wait to see how it turns out! Thanks Meliisa! It’s easy to forget how lucky we are to have this huge basement, even if it is a bit of a mess! You definitely made me laugh out loud! Lol. 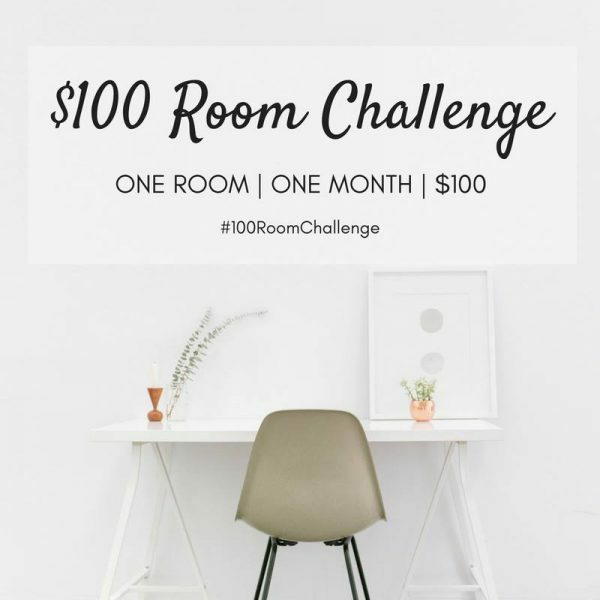 How have I never found your blog before the $100 Room Challenge?? Everything is so lovely. I’m going to be a frequent visitor now… Congrats on the makeover!